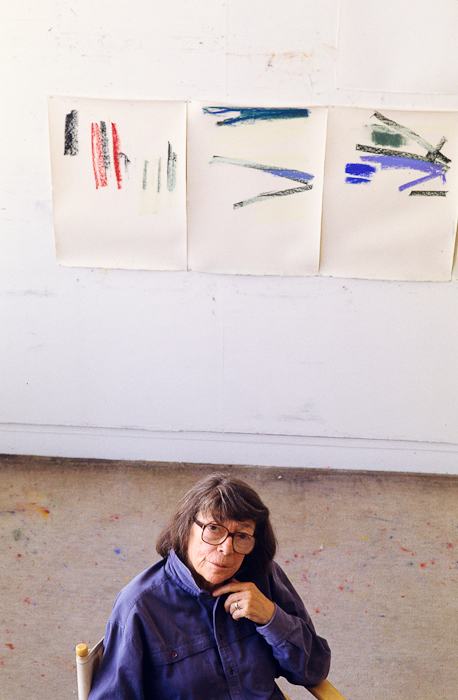 Joan Mitchell lived and worked in a suburb about an hour from Paris called Vétheuil. The house was a rambling stone structure, not grand but very comfortable. In the back was her studio, a separate traditional, skylit artist’s atelier, down a corridor of paving stones set amid beautiful gardens created by Mitchell herself. From Mitchell’s house one was afforded views of the green-grey Seine, and square and rectangular patches of wheat colored fields in the dusty June light. She talked a great deal about the “beautiful, grey, Ile de France light,” how it brought colors to life. We were introduced by our mutual friend John Cheim. 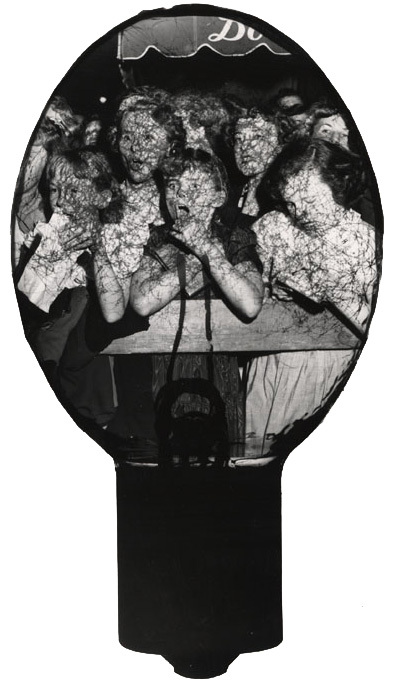 When these photographs were taken, she had not recovered from hip surgery and had top work on crutches – quite unlike the younger Mitchell, who was always scrambling up and down ladders. She was simple in appearance yet complex in demeanor, a little girl with a mature exterior. 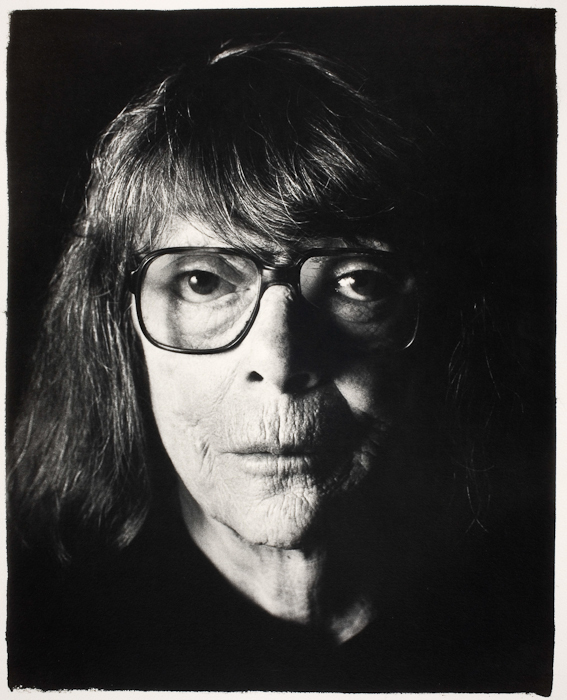 She was a great friend of Beckett’s and a staunch defender of abstraction and the nonlinear. But she had an enormously sentimental side to her and at heart was an old-fashioned romantic. In addition to the time we spent together in her painting studio in Vétheuil, she once took me to a small pastel studio she kept in the city. It was in a traditional 1930s artists’ studio building on the La rue Campagne-Première, a street made famous by Jean-Paul Belmondo in Breathless but also home to many famous artists, including Rilke, Man Ray, and Atget. 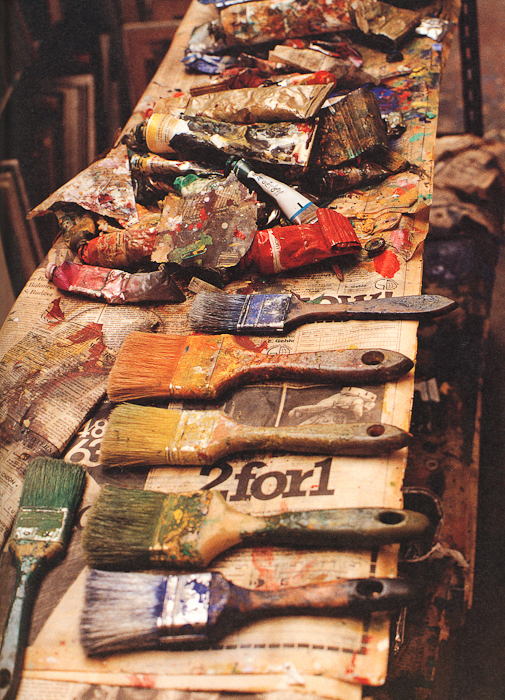 Photographs of Joan Mitchell (1925–1992) and her studio by David Seidner (1957-1999). 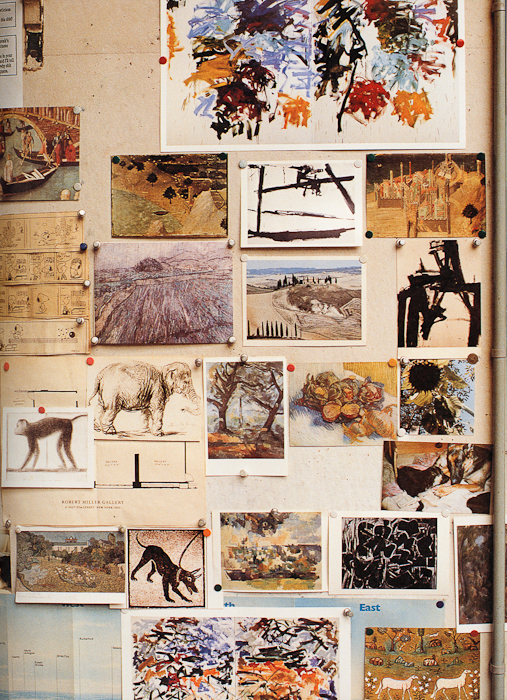 Words from David Seidner: Artists at Work: Inside the Studios of Today’s Most Celebrated Artists, Rizzoli, New York, 1999, pp 90-103. 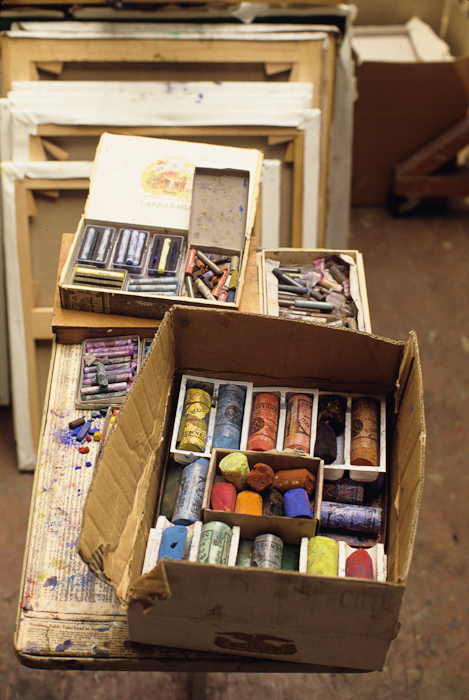 Studio Visit is an occasional series exploring a diverse array of working artists’ studios. 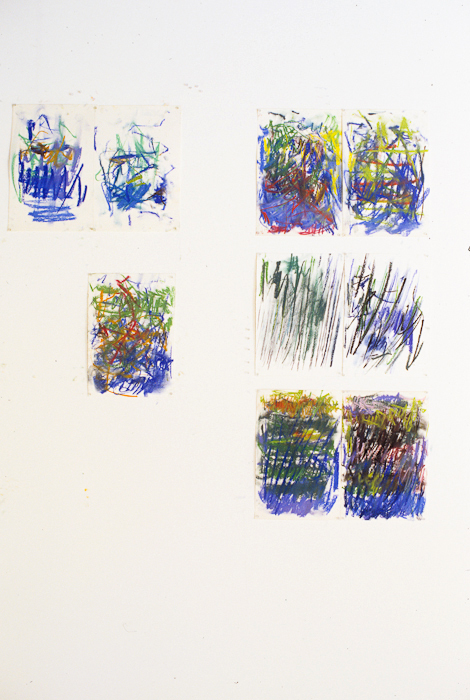 This entry was posted in Fans in a Flashbulb and tagged artist, David Seidner, France, Joan Mitchell, Paint, portrait, studio visit, Vétheuil. Bookmark the permalink.